Spent a very enjoyable time in the company of some lovely people the other night at Mark Gallagher’s book launch event at the Marriott County Hall (the former London GLC building to you and me) in Waterloo. Mark’s an old friend and colleague who has just released The Business of Winning – strategic success from the Formula One track to the boardroom (Kogan Page – ISBN: 978-0-7494-7272-6) and I recommend you buy it – now. If you’re in the US, click here. Apart from it being a rattling good read, full of stories from his time in the F1 industry, many people draw parallels between the worlds of business and F1 and Mark has set out a series of his ‘insights’ into branding and image, team building, change management, innovation and global communications strategy. Former F1 driver David Coulthard has written the foreword but interestingly, later in the tome – chapter 12 – he talks about winning culture, team building, etc from the sharp end. The driver’s angle doesn’t get talked about much so this is a good addition. As Mark reminded me on the night, he’d talked to me about writing a book at lunch in Covent Garden over 10 years ago (nice Italian if I recall correctly) but he’s been somewhat busy so one can forgive him. “It’s been a very interesting 32 years working in motor racing. Lots of different experiences. I keep thinking of better stories I forgot to tell. To work with someone like Michael Schumacher even just for a weekend gives you an opportunity to see what excellence really looks like. “And then to work with someone like Eddie Jordan (Jordan GP founder and team principal). Every time I mention him people laugh. Worked for him as marketing and communications director – as his interpreter. I tried to make sense of what he was saying,” says Mark jovially. “But I chose Eddie intentionally. He has this slightly mad persona. But the reality is for 15 years he ran a highly profitable, race-winning F1 team. To work with a guy like this who is totally driven and a leader who understands what it takes to be number one is a very inspirational experience. Those 10 years I worked with Eddie taught me so much. “Over 32 years I’ve met a lot of interesting people and I share these insights in the book. It has been fun not just to talk about leadership but also teamwork. There’s an innovation culture in F1, it’s not just a sport. We live in a country where there are 6,000 full time jobs in F1, 14,000 people working in the supply chain. This is a real industry in the UK of which we should be very proud. “It’s an R&D-centric industry which is heavily involved in managing risk. We produce these amazing high performance machines and risk management and safety becomes a very important part of what we do, combining the ultimate in performance with the ultimate in safety. “In my book one of the most difficult chapters to write is the one on safety because when you’ve worked in this sport which kills people and then see that come to an end in 1994, the last time an F1 driver was killed in a race, I can tell you that the world of industry is utterly fascinated in how F1 stopped killing drivers. “The statistic is we had 43 drivers killed before then, so there’s a big lesson. If F1 knows how to stop people being killed in a 200 mph accident what can this teach other industries about risk management? “Of course in recent weeks this has become very topical. We have a driver who has been very seriously injured in an incident at the Japanese GP so risk is again centre stage to what we do. 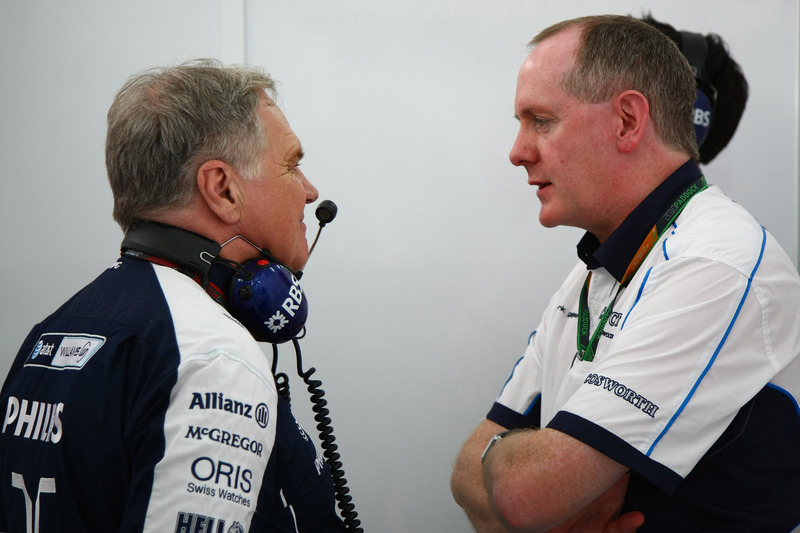 “We’ve also had two F1 teams go into administration which puts commercial risk management at the centre of what we do,” and so the parallels continue. “I find the whole environment utterly fascinating in terms of what business can learn from F1. It’s a really vibrant area to have worked in. 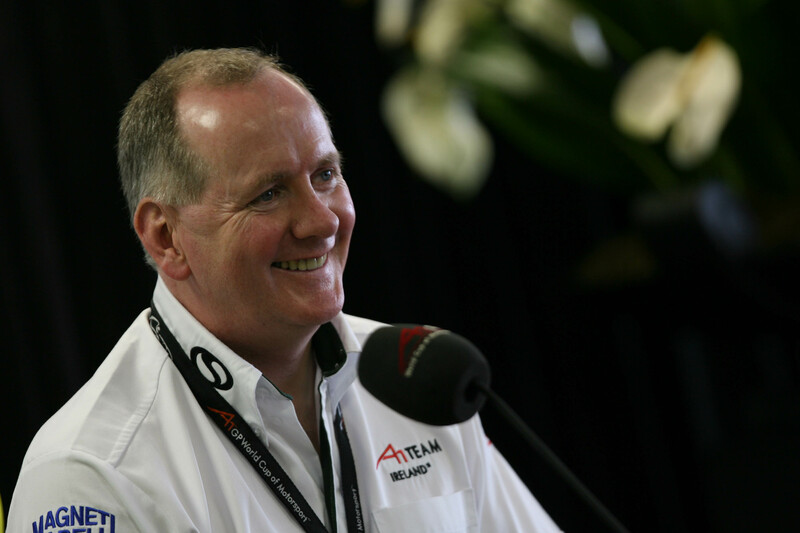 “And it’s been good to have the book published when my own racing team Status GP – having just bought Tony Fernandes’ GP2 team – is now at the level of racing immediately below F1. “I had a letter last week from Bernie Ecclestone saying: ‘Dear Mark, You know what the final step is…’ I haven’t replied to it yet,” Mark says with a smile. It certainly is Mark. And long may it continue. Good luck matey, you damned well deserve it!